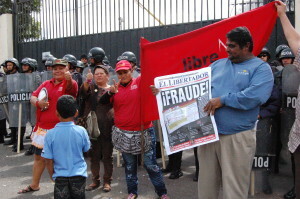 On June 28, 2009 gunshots rang out at the presidential residence in Tegucigalpa as the Honduran military stormed his home and kidnapped democratically elected President Manual Zelaya. Immediately the Honduran people took to the streets across the country in the tens of thousands and began a resistance movement that continues today. 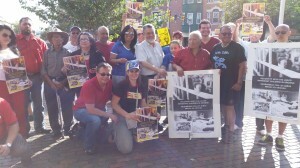 There was also a quick response to the crisis from solidarity and human rights groups in the United States and Canada. It took only a few weeks for groups to begin coordinating solidarity and by January 2010 the Honduras Solidarity Network (HSN) was created. 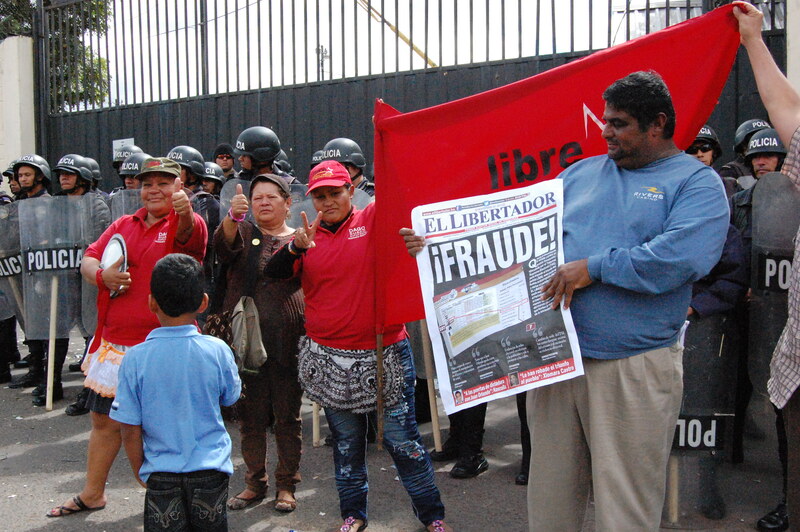 Since 20009, HSN member groups have organized many human rights observer delegations that have accompanied Honduran resistance protests as clouds of tear gas filled the streets of Tegucigalpa. 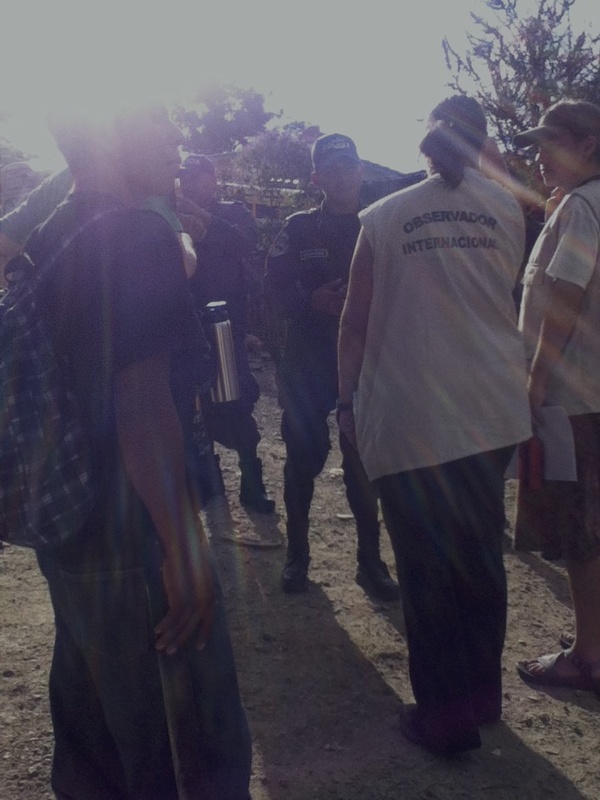 HSN members were on the ground during the the November 2017 election crisis, and we have provided an international observation presence to campesino and indigenous communities in the midst of violent evictions by paramilitary and government security forces. We also part of organizing a campaign to free the political prisoners who were arrested as part of the government crack-down on protests after the electoral fraud in 2017. We have conducted fact finding missions and worked to get the truth out about conditions in Honduras, the role of US policy in support of the 2009 coup and continuing anti-democratic regimes, and how US police and military aid and training helps create the current human rights crises. This crisis is pushing thousands of refugees out of Honduras and has left at least 30 dead or disappeared since November 2017. Since the 2009 coup hundreds of people have been murdered including more than 200 campesinos; indigenous resistance leader Berta Cáceres and more activists. In 2014 we added our only paid staff, Karen Spring, who is living in Honduras and strengthens our accompaniment delegations. She also investigates crucial struggles like the fight against foreign mining companies and provides the information we need to organize solidarity in the US and Canada. HSN members also work to change US policy by bringing speakers from the Honduran resistance groups and human rights defenders to the US to speak to the public and to members of Congress. In the past five years this work resulted in 7 letters by members of Congress to the State Department protesting continuing military and security aid in the face of blatant abuse and human right violations by the Honduran government. One letter was signed by 94 members of the House of Representatives. 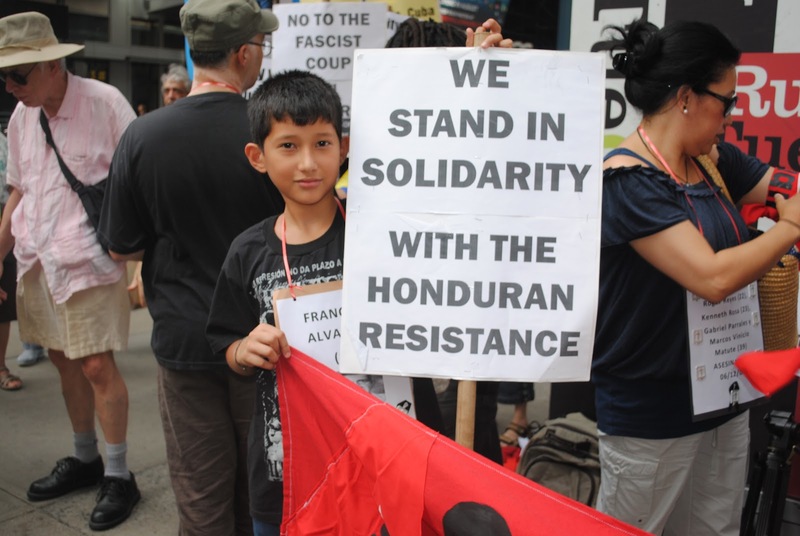 Make a tax-deductible donation now so that we can continue to grow solidarity with the Honduran people in resistance! The violence against activists and movements continues as does the resistance. Our partners put their lives on the line every day to build a just and democratic nation. Our solidarity helps save lives and provides essential support in the US, the sponsor of the corrupt and violent Honduran oligarchy.